Windows fans may find the situation a little bit difficult. 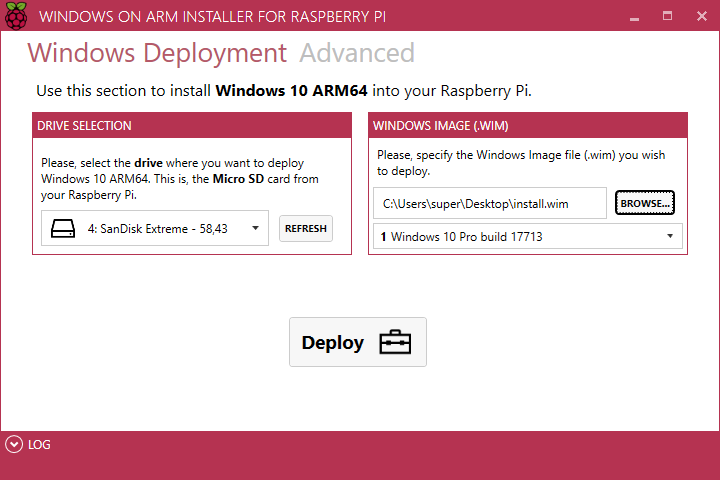 Yes, there is an exclusive version of Windows for Raspberry Pi and similar boards. Dubbed as Windows 10 IoT Core, this stripped-down edition of Windows 10 is intended for developers only (unfortunately). Booting a standard Windows installation on RPi is not a straight forward job. To keep things simple, Raspberry Pi does not feature a traditional firmware interface (BIOS/UEFI) found on everyday PCs. The boot process is extremely simple, but incompatible with typical Windows boot mechanism. RaspberryPiPkg is an independent community driven initiative to bring x64 ARM64 Tianocore UEFI support for Raspberry Pi. The development is mature enough to boot (almost) vanilla x64 ARM64 UEFI Linux and BSD family of operating systems. A particular segment of the people associated with the project tried to bring Windows support. Call it a coincidence, devs from #DesktopOnLumia have also contributed towards the process of porting. With the assistance of persons like Ard Biesheuvel, Googulator, Bas Timmer and driver1998, Windows on Raspberry imager was born. 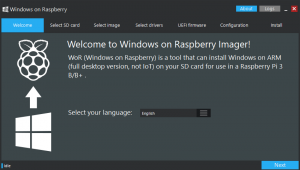 Although it is far from being stable, experienced users can follow the guides and prepare a full fledged ARM64 Windows 10 image that can boot on Raspberry Pi 3 Model B and B+. As a part of Windows on ARM (WoA) Project, DesktopOnLumia devs want to enhance the end-user experience. José Manuel Nieto AKA SuperJMN has created a new tool, named WoA Installer for Raspberry Pi 3. Tool designed with simplicity in mind. It just works® Recommended if you don’t want to worry about drivers, UEFI and other advanced options. The team has also revealed their brand new website (pi64.win) to discuss about booting Windows 10 on RPi and similar SBCs in future. Hello world! 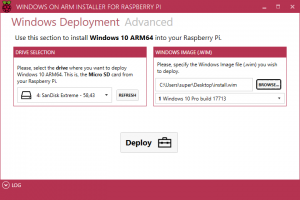 This is our new super site: https://t.co/UaBkIBpu6Bhttps://t.co/UaBkIBpu6B It's all about Windows 10 + Raspberry Pi. What are you waiting for? Join us and stay tuned. This project rocks! The new installer is designed for simplicity. Users need to grab the generic ARM64 image of Windows 10 from Microsoft’s server, download the readymade driver package and run the tool. While most of the hardware components are working, inbuilt WiFi is a notable exception. Common programs should work, thanks to the x86 emulation. Given the low configuration of Raspberry Pi, it may not be capable of handling large and complex applications. Have a spare Pi and some free time to experiment? Comment below.